Thickness 3/4” nominal. 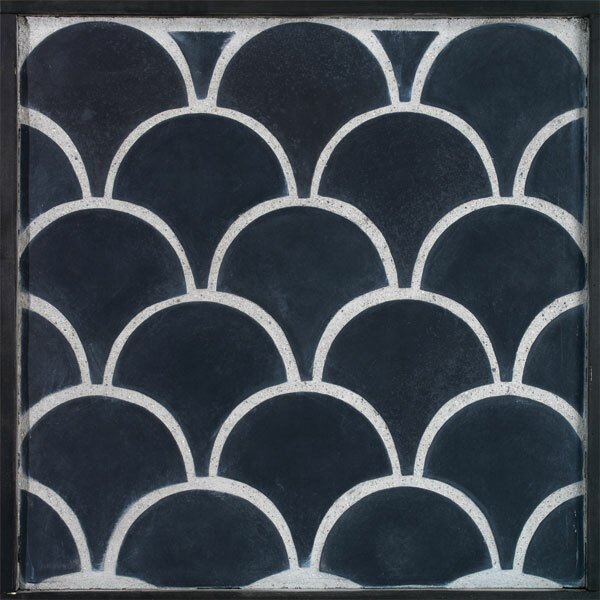 Concrete tile available in any ARTO color and texture. Do you have a supplier for this product in Oklahoma or near by area? Yes go to the “How to Buy” page of our website to find a re-seller near you. What is the price per square foot? Thanks! Check with a reseller in your area. “How to Buy” link. They will be able to give you the best pricing. Thanks. Is this product available in Italy? Yes. ARTO can ship anywhere in the world. Thanks. No supplier in Russia but ARTO can ship anywhere in the world. Is this tile available in Dallas? Possibly a lighter gray as well? Yes and yes. Please visit “How to Buy” to find a dealer in the Dallas area. Is this product available on the east coast? contact greg@artobrick.com he will help you . 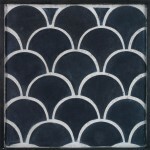 Very interested in the scallop dark charcoal rule for small bath floor. Do you have Canadian supplier or do you ship to Canada? Yes we have a dealer in Canada. They are called Creekside Tile. Please feel free to call the factory for more information. I would like to know European availability and pricing. Please contact ARTO directly through email of phone for more information. Available in the UK at all? Yes an ARTO Sales rep will contact you soon. Hi, I am looking to spec tile for a remodel of commercial baths for a project in Winslow, AZ. Can you give me a ballpark per square foot price of the Arto Concho and target tiles? Or a basic 16×16 in the Artillo tiles? Thanks for the question. Please feel free to contact an ARTO Sales rep about pricing in your area. Click HERE.